Home › STATION NOTES / BLOG › It started with a whisper! Our first day of monitoring, August 16, didn’t see much action, as heavy rains fell all morning and well into the afternoon. No banding and barely any observations were done that day. The sky cleared after that much needed rain and banding could start for good on August 17. It started with a murmur in very quiet woods: only seven birds were captured, the lowest total on the first day of fall banding across the years, and no recaptures at all. The lowest totals in the past were of 10 and 12 birds in fall 2007 and 2013, respectively. On the second day of banding, it got slightly better with 13 birds banded of 9 species and still no recaptures. A very interesting bird captured was a White-crowned Sparrow, which was in the process of moulting its wing feathers. Two individuals of this species have been observed since August 15 and it is very likely that the captured one is one of them. This species breeds, in Ontario, exclusively in the far north (near, and north of, the tree line adjacent to Hudson’s Bay)! Because the moult in this species happens on the summer grounds, before migration, it means that the individual captured today has likely spent its summer on the Bruce Peninsula. In the previous 14 years, White-crowned Sparrows have been detected in August at Cabot Head only in five years (2004, 2007, 2011, 2013, and 2015). White-crowned Sparrows on the Bruce Peninsula in the summer are rare but not totally unusual. It is possible that they are birds in poor conditions in spring, which make them unable to finish their migration to their northern breeding grounds and stay on the Bruce Peninsula. 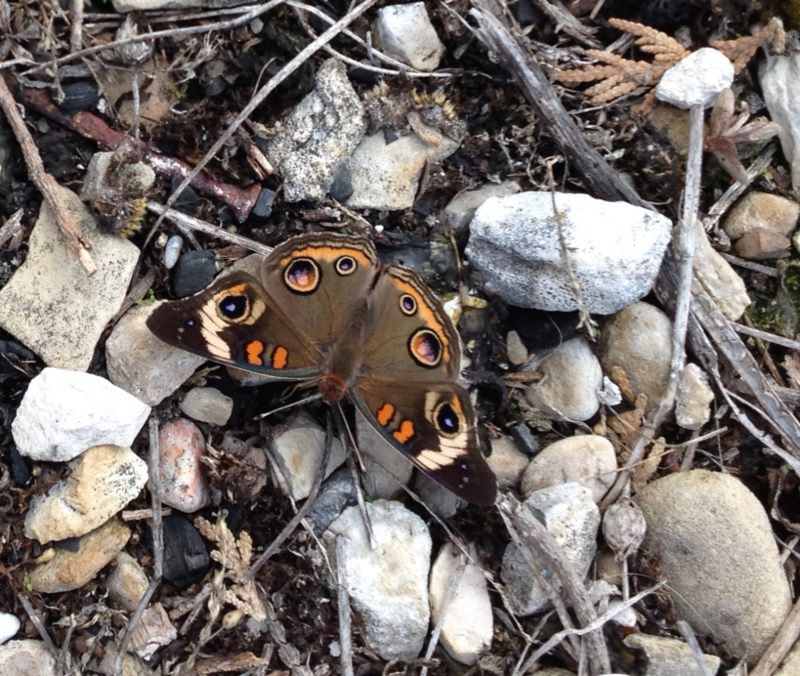 Another interesting observation was a first for me at Cabot Head: a Common Buckeye! It is a beautiful butterfly that reaches its northern limit in southern Ontario. ‹ Fall migration is about to begin!